Jane Tweedy has a personal mission in life to leave the world a better place, by empowering and educating a million people to achieve success in their business and careers, so they can be the best versions of themselves. This may sound pretty far fetched, but if you meet Jane you’ll know that her passion is high, and she genuinely means it. Each one of us can ‘be the change’. Selling pumices in front of a holiday house when she was a five year old, is where the entrepreneurial spirit first showed it’s head, and at six Jane was already volunteering. Jane went to university studying commerce and concurrently worked at McDonald’s as a shift manager (with secondary functions like store training manager and payroll/admin manager). This cemented her view that experience is more important than paper qualifications (yes despite the amount held!). Jane went on to work at some of Australasia’s big four banks, and as the sole investment analyst at NZD5.5 billion EQC Natural Disaster Fund. 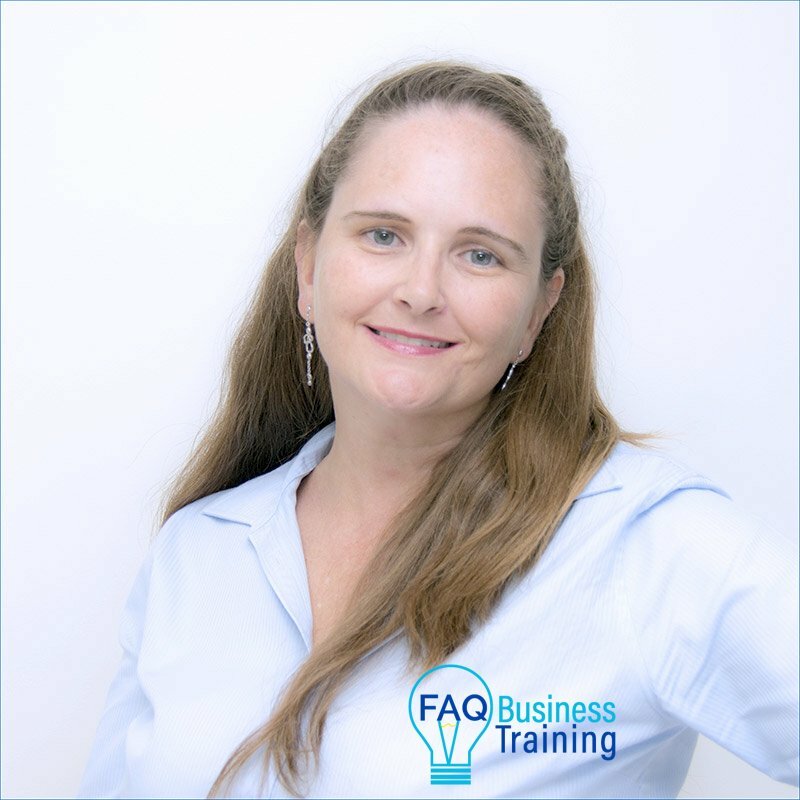 Over time Jane started small business ventures including wedding photography, property investing and resume writing. Jane has also been a committee member and director guiding strategy, and is currently a Director on a Bendigo Community Bank® board (Hawkesbury – Richmond and North Richmond branches). But it wasn’t until starting as a Small Biz Connect Advisor / Business Connect Advisor with Western Sydney Business Centre that it all became clear – a need to help business owners to kickstart their business, or move it to the next level, but on a global scale. 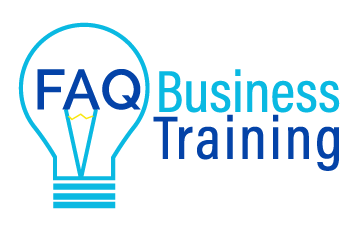 Combining on-the-job experience with bite-sized training (when needed) makes sense, and this is where the idea for FAQ Business Training came about. Although the market appears saturated, Jane identified core needs that were not being met – a need for trusted and accurate information, less spruiking while keeping training affordable for more people, and most importantly, filling in the key gaps in knowledge to stop small business owners being ripped off, or failing, through the use of ‘experts’ that simply aren’t. So here we are, a business based on values of transparency, trust, customer needs and helping people to do it yourself (DIY) or outsource with confidence. Jane recently shared a slightly expanded version of this story as a chapter in the International Bestseller #BetterWoman Better World. Jane regularly presents face to face, including workshops, on panels and as a speaker. Jane shares information online through Facebook, LinkedIn, and Quora and through print media including The Dooral Roundup (Dural, Hills Shire/Hornsby). Regularly presents at networking groups, events and conferences, on panels and as a conference speaker on various topics. Spoke at WordCamp Sydney #wcsyd, #CopyCon18 (Australian copywriting conference), and the online Small Business Skills Summit. Constantly developing new courses to best meet the evolving needs of small business owners. The world doesn’t stand still, so training material can’t either. We evolve to ensure our material is valid and usable. Love tailoring courses to the audience. Experienced business strategist with businesses of all sizes, from a business of one, through to crown entities and areas within major ASX Companies. A unique ability to combine the detailed analytics and birds-eye view of strategy for best effect. Always maintained a high customer service ethic, through genuinely wanting to help people succeed. Can’t stand when people are ripped off, and have stepped in as an advocate a few times to get clients a solution to their issues. Core values are what make us unique, and some of these values have been mentioned on this page. Jane has always deeply cared about her clients and their wellbeing, sometimes at expense of herself (and sleep! ), and is stubborn at sticking to core values. Completed Certificate IV in Training and Assessment with the additional LLN module, via face to face training. Capable trainer, that takes into accounts learner needs and VARK learning methods to keep all learner types catered for. Completed this Certificate with a focus on general small business management, business finances and marketing. Completed late 2017 the Kate Toon ‘big course’ on SEO, as I already had a sound grounding in basic SEO and wanted to take it a step further. I see SEO as vital to small business success, if you want to get traffic for an affordable price, and SEO techniques flow into other areas too. With a background in investment analytics and financial markets, it made sense at the time to complete the MAF qualification. Having great analytical skills, and financial skills that allow reverse engineering, certainly helps Jane to help small businesses. Bachelor of Commerce & Admin. The Bachelor of Commerce and Administration (BCA) was taken straight out of school, alongside an essentially full-time role as a McDonald’s shift manager. Papers studied included commercial law and management. At the time I also completed an Associate Award of Banking, NZIM Certificate in Management and NZ Diploma in Business Studies. This course was completed remotely but was comprehensive, consisting of 30 lessons across 6 units of study. Outside of the formal qualification, have completed many short courses in photography including The Creative Eye, Better Photo Wedding Photography and other courses to complement photographic interests. Currently studying for a Diploma of Human Resources to complement many years of experience as a people leader/manager and being involved in the recruitment and performance of employees. If you haven’t worked out yet, am a constant learner and will attend any courses and training that will help Jane to help others and keep current. Some highlights include Publish a Book and Grow Rich bootcamp with Gerry Roberts (2.5 days), and B-School with Marie Forleo. Jane recognises the world we’re in is subject to constant change, and therefore it is necessary to keep learning to succeed. Fortunately for you Jane does the heavy lifting so she can bring you just the pieces you really need to know! Find out where we will next be running a session (mainly across Western Sydney). If there is demand we will travel.